Forget fetch - for Sandra Roth and her dog Lizzy, their favorite pastime is something far more complex. They like to dance ... and, boy, can they. 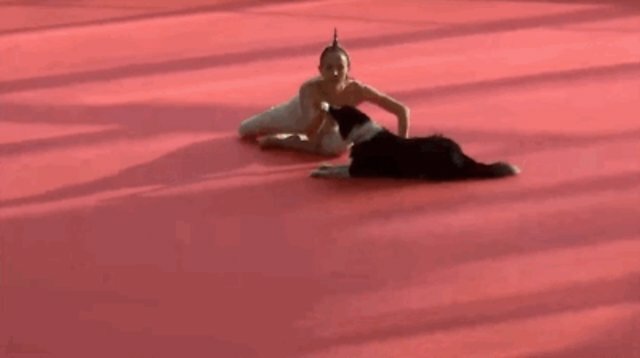 The resulting routines aren't only impressive from an artistic standpoint, but they also showcase the remarkable intelligence and athleticism of dogs, as well as the bonds they have with their humans. 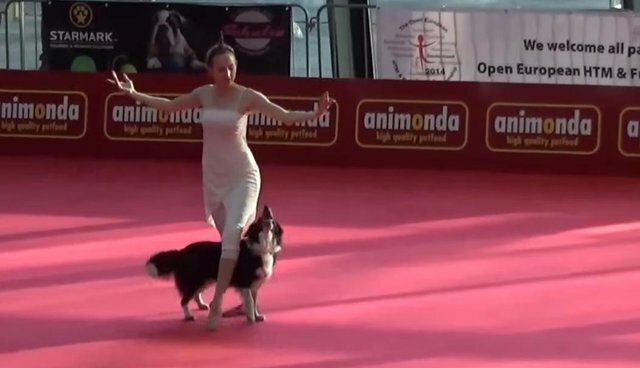 Dog-dancing doesn't appear to be widely known outside of Germany, where DogDance International was established in 2009, but that might only be a matter of time. The organization calls it a "fast-growing dog sport" with increasingly well-attended competitions. And it's easy to see why. "There are no compulsory movements or elements, so each team can present their individual strengths and skills," reads Dogdance International's preamble. "No other dog sport offers that much flexibility to ... adapt each performance to the capabilities and needs of each team member (dog as well as human)." For Roth, a ballet and jazz dancer with over 24 years of experience, being able to share her passion with Lizzy makes dog-dancing "the perfect sport." "Lizzy has been learning tricks and freestyle moves since she was a puppy. But we've had many problems and she was not an easy dog," she writes in her performer profile. "So our main focus for the first 3 years was on her social behaviour and not on dog sports." Through the time and effort working with her owner to master the choreographed dance routines, Lizzy has blossomed. "[She] gets more and more confident and our relationship has improved a lot," writes Roth. "She is also starting to enjoy the attention by the audience."